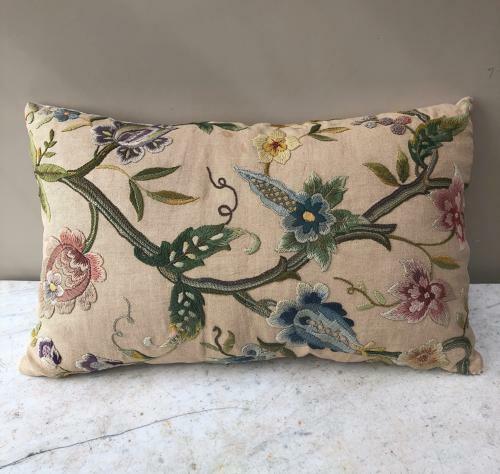 Beautiful Victorian Crewel Work made a good while ago into a Cushion. Clean & fresh smelling - professionally cleaned before I purchased it. Along the bottom edge there needs a few little stitiches to repair a few small sections or put braid all the way round to fix.